Learn360 and Criterion on Demand offer excellent media resources to use in the classroom. 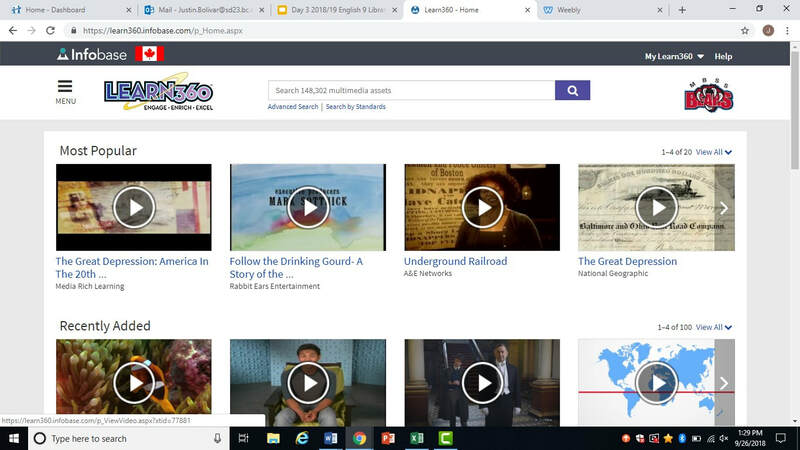 Check out the video to the left to see how to access and use the features in Learn360. ​Users can access more than 137,000 multimedia resources—including high-quality full-length videos, video clips, interactives, images, audio files, articles, activities, worksheets, and more—from more than 200 top educational producers. Criterion on Demand is a great place to find both documentaries and Hollywood movies- it's like Netflix for education! For access from home, please contact the library.